In short: Sony may be looking to bring the essence of couch co-op multiplayer to room-scale or spatially-aware VR titles at some point in the future, based on a recently spotted patent published with the World Intellectual Property Organization. 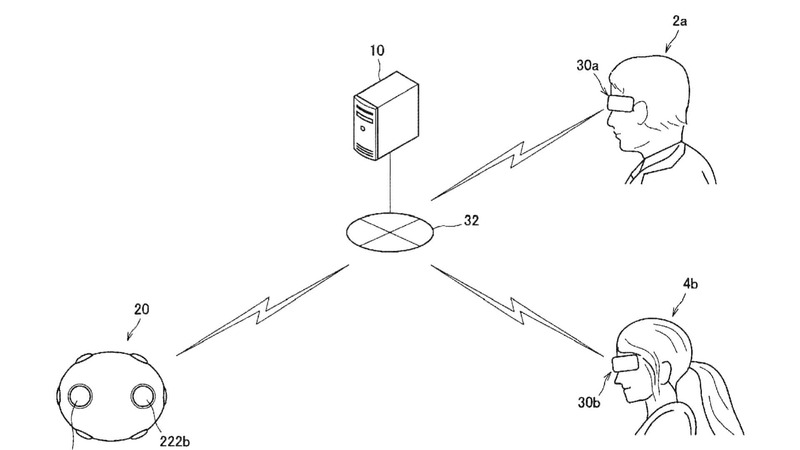 More specifically, the company seems to be considering a new device that serves to process data from a configuration that includes multiple VR headsets. That would be programmed to allow multiple VR users to view the same object or objects in virtual space from different angles and at different depths. The goal of the patent, according to associated documents, is to recreate a sense of realism via real-time depth perception, positioning, and interaction with in-experience objects. The proposed solution is all-encompassing and includes a data processing device, video processing equipment, devices to reproduce the visual effects, and a way to interconnect those wirelessly. Background: Multiplayer VR is not a new trend but has been chiefly relegated to either online experiences or to select public venues. For example, the VR startup SPACES launched its Terminator experience earlier this year, giving users a realistic multiplayer experience through the use of high-quality sound and multi-sensory input. However, participants in would basically meet up at a venue where the experience is available and then hand over cash to play for a set period of time. While completely unlike anything else at the time and high on the novelty scale, that type of solution isn’t necessarily cost-effective or convenient for players, especially given its highly localized availability. What’s more, it doesn’t provide for the hours of gameplay and replay-value often found in modern multiplayer titles. That’s leaving alone the nearly complete lack of a diversity in titles to play or experience, despite that other similar offerings have landed in the meantime. The most obvious use for Sony’s technology would be in a next-generation PlayStation VR or similar product for gamers. That, if it works as described, enable gamers to play local multiplayer games wirelessly in a completely interactive 3D world or with virtual objects overlayed in the real world. The representation of those elements could be more or less spatially-aware regard to each player’s perspective in relation to other participants either with complete accuracy compared to their respective positions in the real world or more loosely for some genres. A first-person shooter might work best with the latter scenario while an in-depth puzzle title would certainly be best played with a higher degree of spatial-context. Impact: Of course, video games are not the only software that could benefit from local multiplayer-focused VR hardware. Sony could also choose to broaden the scope of use with any products it might develop to include enterprise applications such as job training or either VR or AR productivity software. That would enable multiple people to train together in a safe but realistic environment or for more than one individual to work on a given VR project at a time. Conversely, it might also allow single perspective VR experiences to be viewed by multiple people at the same time, in the same room. In that scenario, the visuals might stream simultaneously but offer a different view based on the specific head motions of each participant. The implications of the technology, if the company chooses to act on its new patent, could include almost any imaginable use of VR or AR. You are reading an article on the Sony Is Considering Local Multiplayer VR Experiences. All materials on the site Gadgets F, а также и статья Sony Is Considering Local Multiplayer VR Experiences - written for the purpose of information enrichment and we are happy if you like our magazine.